Drum roll, please! We are very excited to announce that we are in the development stages of some really wonderful gluten free breads, made in a dedicated gluten/dairy/nut free facility. So far we have one variety, a lovely seeded loaf, that you can taste test for a limited time as part of your next meal at our three Seattle cafes. * All we ask is that you fill out a comment card to provide us feedback. Our gluten free breads are not yet available on grocery store shelves, but we hope to launch the line in late Summer. 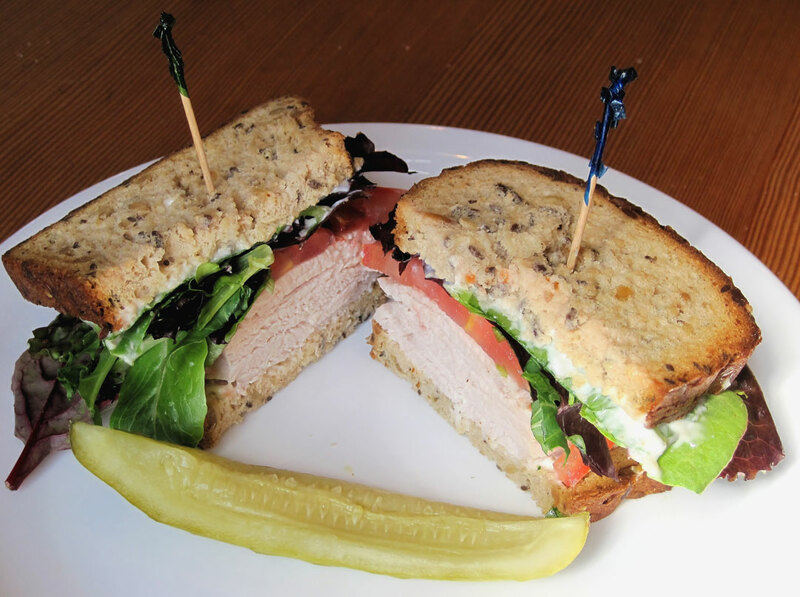 Try our seeded gluten free bread on your next sandwich at our Wallingford, Georgetown or Madison cafes. * Please note that while our gluten free breads are made in a dedicated gluten/dairy/nut free facility, our cafes are not gluten/dairy/nut free. While we strive for best practices in serving gluten free bread, it may come in contact with allergens.